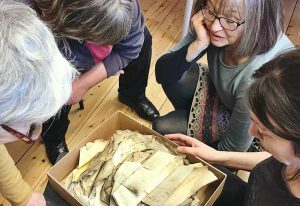 In October 2016 we were thrilled to be awarded a grant of £1,967.00 from AIM (Association of Independent Museums) and The Pilgrim Trust to undertake conservation work on a collection of papers dating from the late 1800s. 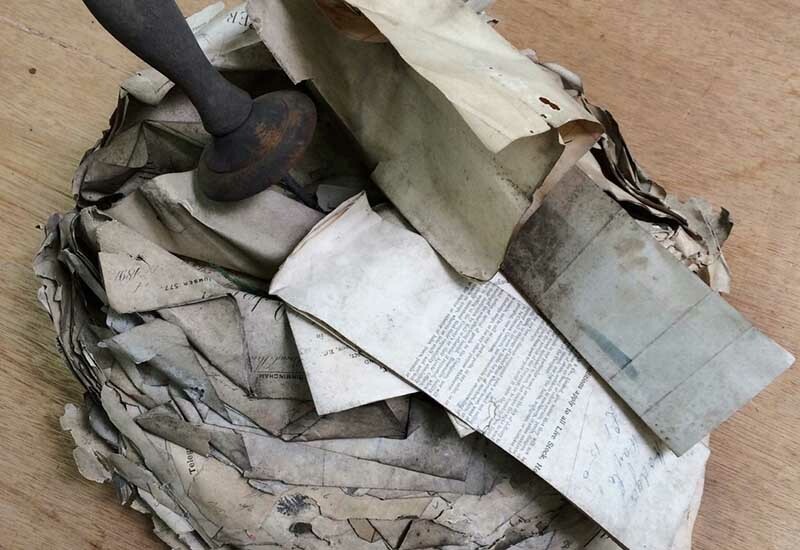 The papers, known as the Biggleston Collection, were found in the eaves of Biggleston’s, a longstanding Hayle shop, during renovation work. Biggleston’s has stood in the town for over 120 years; it is a landmark building and is treasured by the people of Hayle. The collection consists of over 1,200 papers. 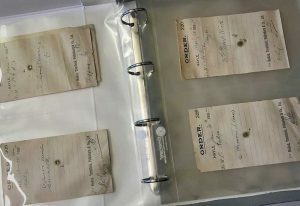 These are mainly receipts, letters and postcards (still on their original metal bill spikes) relating to the business. 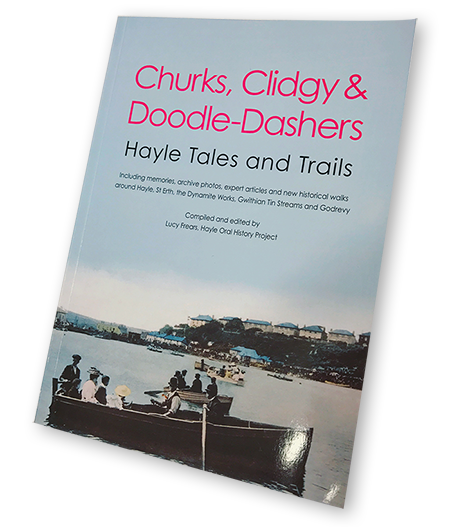 They give a fascinating and rare insight into the town in the late nineteenth century, the wide range of materials that could be bought and sold, and professional dealings between the shop and companies, both within the UK and around the world. 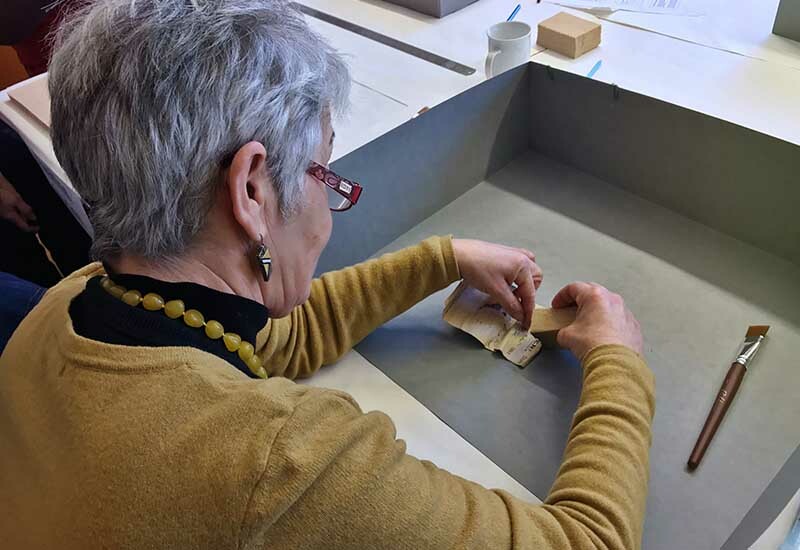 We are working with PZ Conservation C.I.C, Penzance-based experts in the conservation of books and archival material, who have trained our staff and volunteers to professionally conserve the collection. As well as training, they are also providing ongoing guidance, materials, conservation work for some of the more vulnerable documents and advice on long term storage. 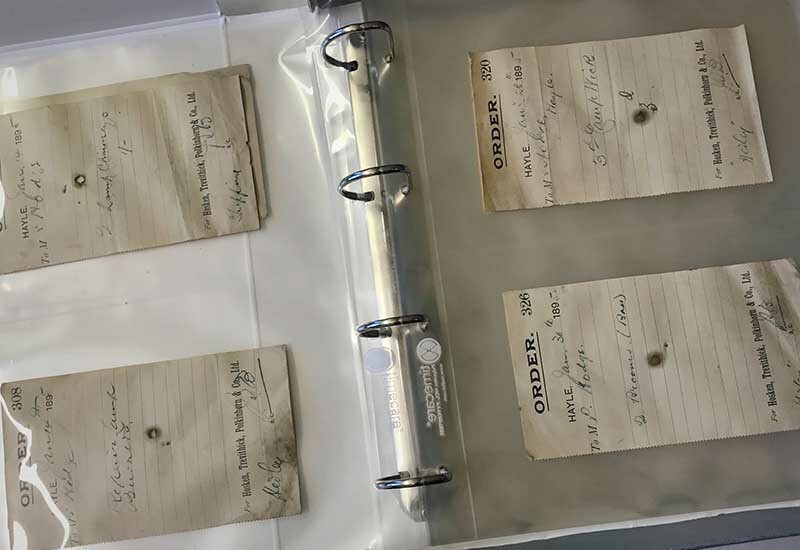 We plan to digitise the documents to increase public accessibility to the collection. If you would like to follow our progress, please follow us on Facebook and Twitter, where we will be posting regular updates on the project.